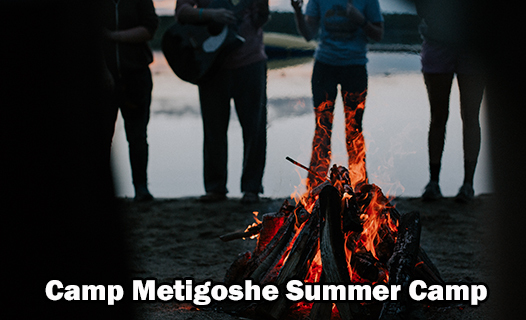 What should you expect at Camp Metigoshe? to grow in faith through meaningful worship and Bible study. to meet new friends from all over. to meet a really awesome counselor who loves to have fun. fun, goofy fun, crazy fun, wild fun! to praise God around the campfire. to play in the lake and the woods. to be yourself and that people will love you just like that. to have the camp staff concerned about your safety. Do you know we try to “live simply” at Camp Metigoshe? Our cabins are lit by the soft glow of lanterns. Outdoor troughs with running water and outhouses replace sinks, showers, and flushable toilets. Don’t let tight family budgets stop you from having this experience; call the camp office for information about confidential camp scholarships. There are camps for kids entering second grade through graduated seniors; there are camps for families and grandparents and their grandkids; there are camps for people with developmental and physical disabilities. Register on-line beginning January 1.